* Gracie Lockwood is a spirited girl and journal writer, who lives with her parents, brother, and sister right down the street from a T.J. Maxx that was recently burned down by dragons. Her world mirrors ours, in that there is a Wendy’s, Taco Bell, and MacDonald’s off of Route 1. It differs, however, because Sasquatches roam the forests, depressed ghosts linger, and for a pretty penny, one can hire a guardian angel should one require protection. Perhaps the most ominous thing about her world is the fact that dark clouds visit the homes of anyone whose life they’re about to take. When such a cloud appears over Gracie’s home, the family believes it has come for her ailing younger brother, Sam. Their one chance at outrunning his death is crossing over into, “The Extraordinary World.” Her father, a somewhat unreliable scientist believes that a parallel universe exists, one in which humans thrive without the death clouds and other dangers found in their own world. When the Lockwoods purchase a Winnebago to flee their town in pursuit of “The Extraordinary World,” readers are taken on a fun-filled, well-paced, modern adventure. VERDICT Fans of J.K. Rowling’s “Harry Potter” will enjoy this heartfelt, bittersweet, and ever-so-clever coming-of-age fantasy. It is a must-add to any middle grade collection. "Fans of J.K. Rowling’s “Harry Potter” will enjoy this heartfelt, bittersweet, and ever-so-clever coming-of-age fantasy. 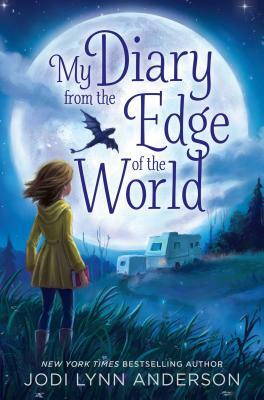 It is a must-add to any middle grade collection." Livingin Camden, Maine, 12-year-old Gracie Lockwood is used to dragons, giants, andvampires. Even her grandmother, a witch living in the Smokey Mountains, keepsghosts in her backyard. When a Dark Cloud, a harbinger of death, arrives at thefamily’s doorstep, Gracie, her siblings, their parents, and her orphaned friendOliver escape their beloved town in a Winnebago. They embark on a journeyacross the country in search of the Extraordinary World, a place withoutsupernatural beings, believed to be a myth by everyone except Gracie’sabsent-minded father. Anderson (Tiger Lily) infuses the novel, written in theform of Gracie’s diary, with effervescent magic and harrowing adventure, andevery enticing cliffhanger makes it difficult to put down. Gracie and familyweather a soul-stealing genie, phantom ships, and a weak-kneed guardian angelnamed Virgil in their escape from death, only to discover the necessity inaccepting one’s fate and the importance of family. Anderson leaves no stoneunturned as she creates characters with zest and heart, as well as settingsthat encompass the best of all imaginary land.